Title: The Book of Job, a revised text and version by C.J. Ball. 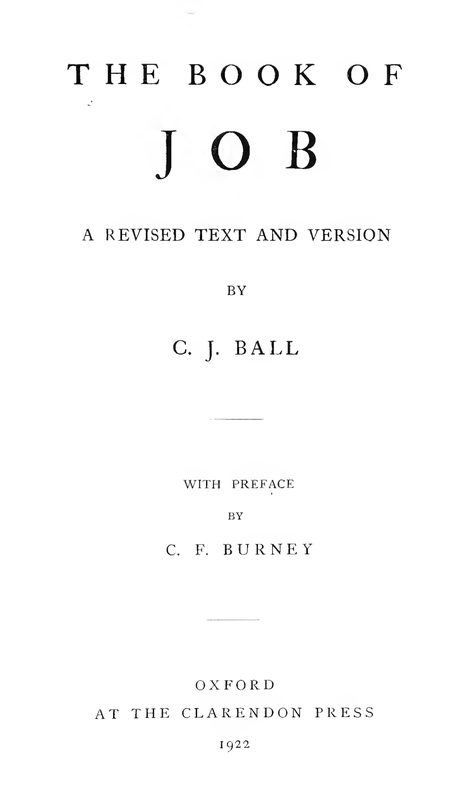 With a preface by C.F. Burney.